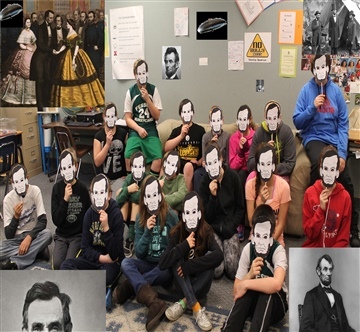 Dance of the Abraham Lincolns tells the story of 3 fifth grade friends known as the “Three Musketeers” and their adventures with a man who looks just like Abraham Lincoln. Aliens have invaded the Earth seeking revenge for Lincoln’s assassination. Carl Rust was born in Kentucky and grew up in northwest Ohio. He graduated from Lima Senior High School and earned a bachelor’s degree in elementary education from Ohio State University Lima branch. He has been a newspaperman, a factory worker, a teacher, a chef, a bottle washer, a dog walker, and an author, singer, songwriter, filmmaker. He has been writing and performing music for 20 years. He has always been a writer. He published a novel for young readers in 2013 and also a short travel book. He currently lives in Indiana with his wife Robin, a dog and a cat. He loves his job as an assistant principal at an elementary school and plays music as often as he can.